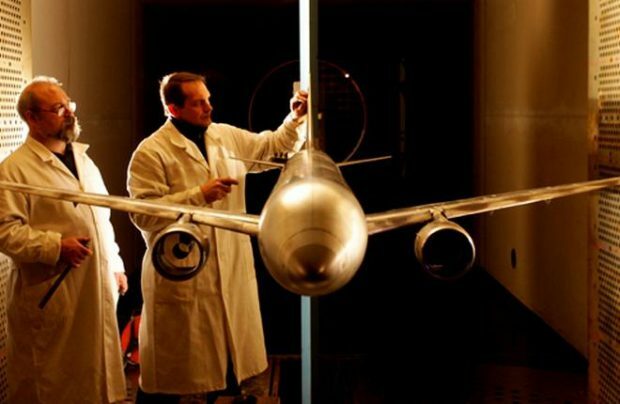 Russia’s Central Aerohydrodynamic Institute (TsAGI) will conduct wind-tunnel tests on a scale model emulating the Irkut MC-21 narrowbody airliner with Aviadvigatel PD-14 engines. The tests will aim to reveal the dependence of the aircraft’s aerodynamic factors on Mach numbers and angles of attack. The testing program will include determining the airframe’s aerodynamic coefficients in combination with the PD-14 powerplants by weighing the model on electromechanical scales. The experiments, to be staged in TsAGI’s transonic wind tunnel, will involve a broad range of angles of attack to model take-off and landing situations. The PD-14 is one of the two powerplant options for the MC-21. Certification of the Russian engine is still pending. It is currently halfway through the flight testing program under the wing of an Il-76LL testbed. Russian carrier Red Wings is among the future operators of the PD-14-powered MC-21, and might become the launch customer for the variant. The other powerplant option for the type is the Pratt & Whitney PW1400G, which has already been certified both by the FAA and by the CIS-wide Interstate Aviation Committee. The first PW1400G-powered MC-21 flying prototype took to the skies in May 2017. The aircraft’s certification is slated for 2019.